Desi Smith Staff photo/Gloucester Daily Times. 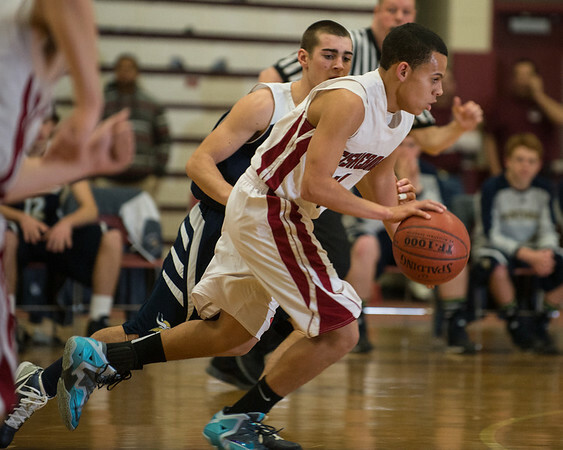 Gloucester's Jeffrey Oliveira races up court against Winthrop Friday night at the Benjamin A Smith Fieldhouse. January 31,2013.